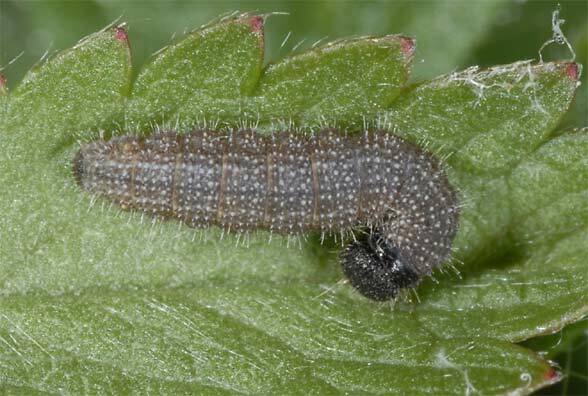 The larvae fed on Potentilla tabernaemontani (= needle) and probably also Helianthemum nummularium. 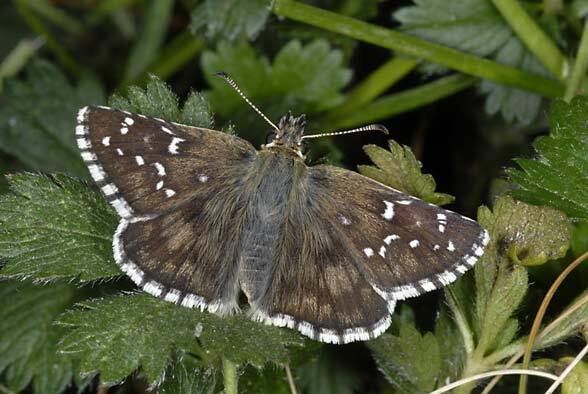 Pyrgus accretus inhabits nutrient-poor grasslands mostly on limestone with partly thin soil layer and often rocks, from the plains to above than 1600m above sea level as in the Swiss Jura. 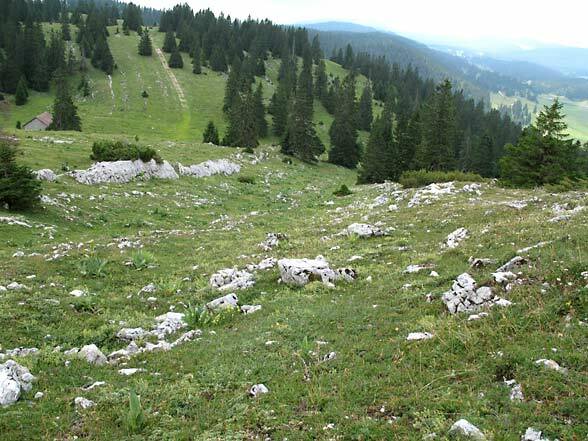 The habitats are often partly shrubby or form larger spots in the open forest (only when linked with enough other spots). There is a single generation per year. 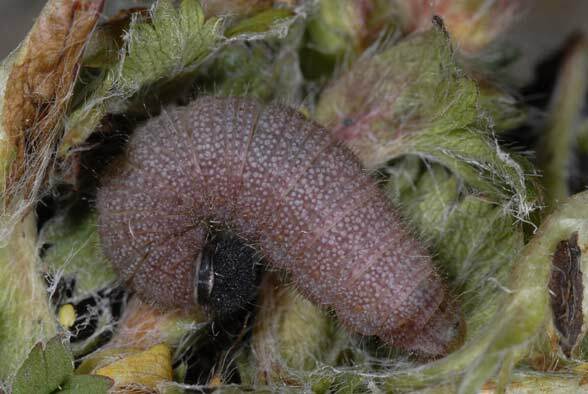 The caterpillar overwinters between L2 and the penultimate instar. The adults appear between mid-May (lowlands) and early September (mainly at higher altitudes). Pyrgus accretus is endangered due to habitat loss (disappearance of nutrient-poor grasslands through afforestation, grazing abandonment, succession, overbuilding, fertilization, agricultural use, frequent mowing) and already has almost disappeared in the lowlands. 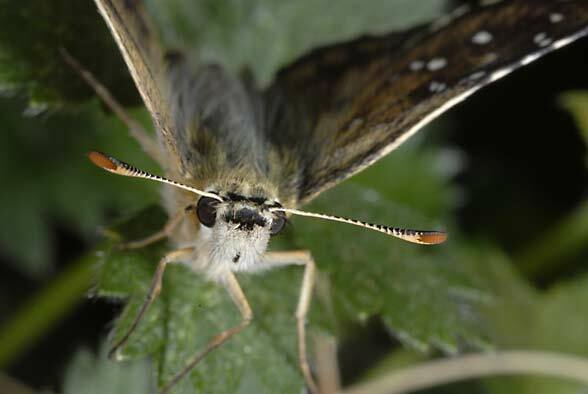 In the summer of 2006 I studied the already known (SBN 1997) population of the taxon Pyrgus accretus at Mont Tendre in the Swiss Jura, Vaud Canton. Here, the results of SBN (1997) could be confirmed in the respect that this population actually oviposits on Potentilla tabernaemontani (but probably also on Helianthemum, see below). 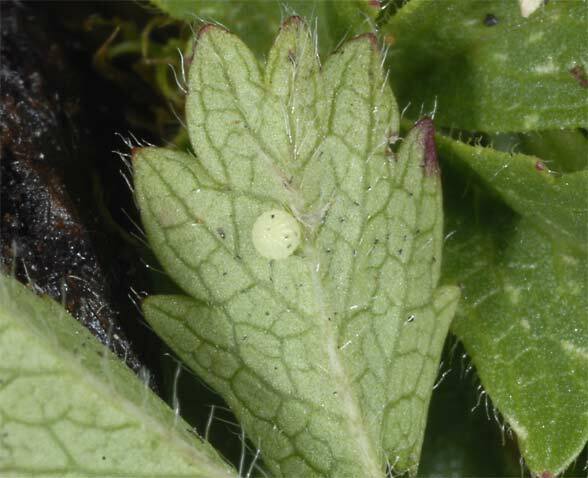 The 30 eggs that had been obtained from a copula and some field eggs at Potentilla tabernaemontani developed in the room breeding until early September partly to overwintering stage L4 and partly without dormancy to pupa (n=6). They were fed with both Helianthemum nummularium and with Potentilla tabernaemontani. 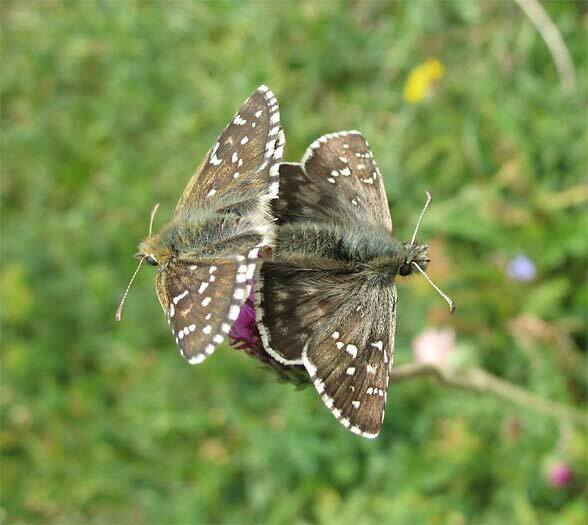 Even multiple exchange caused no problems similar to Pyrgus armoricanus. 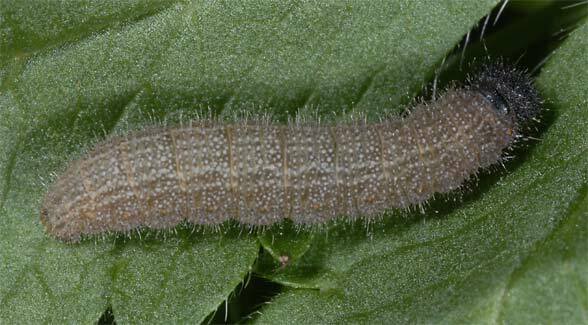 The caterpillars differed insofar weak in all instars from my previously known Pyrgus alveus larvae of the Swabian Alb and various parts of the Alps, that the bright margin of their secondary dorsal lines was constant clearer. In the light beige base colour and other points, however, no differences were observed. 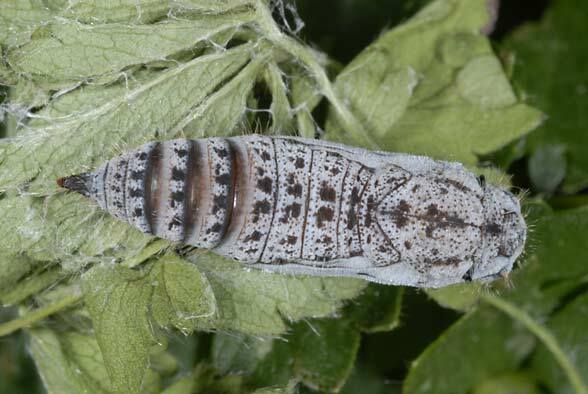 The 6 received pupae showed, however, no differences. Discussion: The smooth transition to Helianthemum and the ovipositions on that plant in breeding make the natural use of this genus in the field at least probable. The presumed Potentilla-use in other areas (northern Germany, Poland etc) is so explainable. Thus some genetic diversity seems to exist, which are also implying the (slight) differences in the caterpillars and the adults. However, as far as I know there are no proven syntopical occurrences of Pyrgus alveus and P. accretus that are based on ecological differences and/or reproductive isolation. The previously published as such, that were only based on phenological or phenotypic definitions such as in the German Kaiserstuhl, are most likely wrong (only one taxon occurring). The whole Pyrgus alveus complex also requires the further investigations. 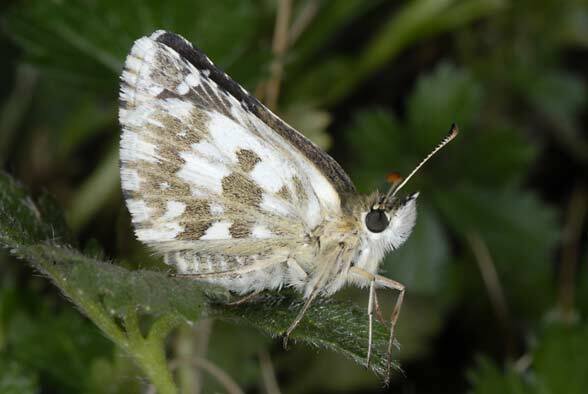 Currently, the taxon accretus is probably best regarded as an infraspecific unit of Pyrgus alveus. More information can be found in Wagner (2006a) in the download section (written in German).